What do you get when you combine some very cheesy mac and cheese, a whole lot of wings and some giant racks of BBQ ribs? Two very happy, very excited Aussie gals. 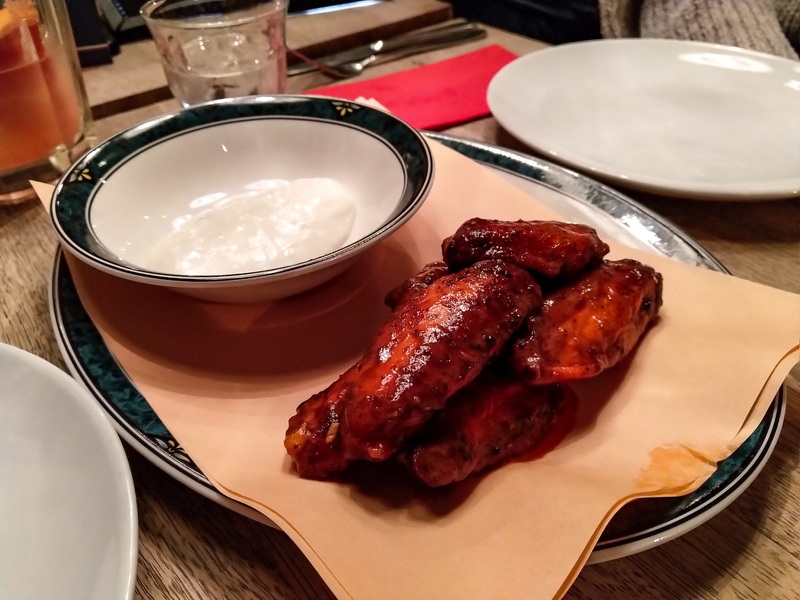 Heading East to our favourite London area of Shoreditch is where you’ll find these culinary treats and more, in a fun little joint called Red Dog Saloon. Offering old-school Austin BBQ, it’s feel-good food that’s perfect for pairing with one of their tasty cocktails and finishing off with a pickleback (or two). Taking a seat at one of the sturdy wooden tables we were immediately served a piping hot plate of hickory smoked chicken wings by one of the bubbly staff. On the table was a caddy with three different styles of sauces, one hot, one BBQ and one mustard-based BBQ, so we got stuck in mixing and matching all the flavours. Our favourite was the standard house BBQ sauce, however Adam from @madzhungrybelly swore by the mustard based. Next up came some juicy brisket sandwiches, which we again customised with our own special combos of the sauces. Packed full of tender beef brisket, fresh cut onions, pickles and mustard in a soft bun, we honestly couldn’t get enough of these little bad boys. The staff were even kind enough to bring us out a couple of extra ones when there weren’t enough to go around and noticed we were halving them between our table! As they wheeled a GIANT trolley piled high with racks of BBQ ribs, everyone in the room clamoured to get a photo with this huge meaty monstrosity (including us lol). After the photos were snapped and the Instastories were uploaded, it was time for the ribs to be carved and served. The meat easily pulled away from the bone, but even with the sticky sauce coating them and the rich flavour of the meat, we still couldn’t resist playing around with the tasty sauces on the table. 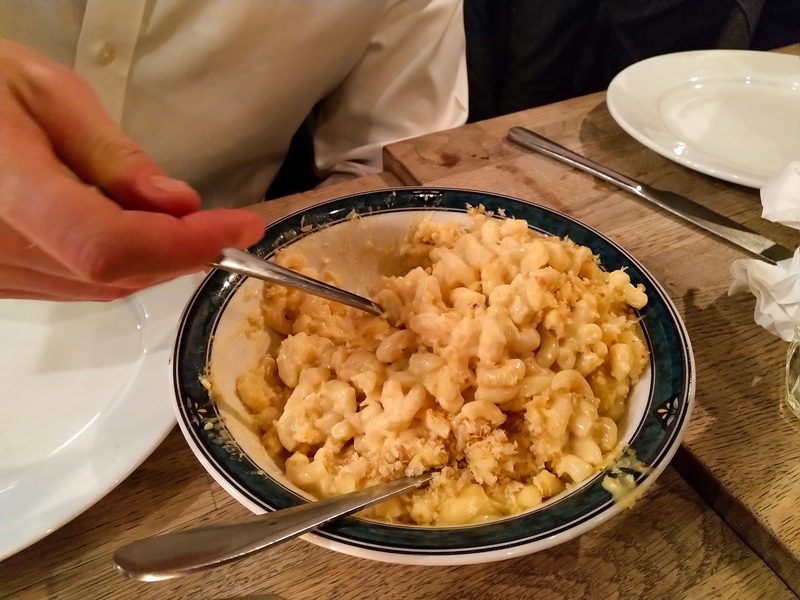 Just when we thought there couldn’t possibly be any more moreish food coming, big bowls of decadent mac and cheese were brought to the table to accompany the ribs. Cheesy and gooey, we finished our bowl in an instant before diving into the table next to ours as well (they said they couldn’t finish it, we swear!). To finish off the meal, it was time for a round of picklebacks. For those who have never experienced the joy of a pickleback, it sounds a little crazy but tastes much better than you’d imagine. First comes a shot of bourbon whisky, followed by a shot of pickle juice (!!!). The pickle juice instantly gets rid of any of the residual burning from the alcohol and leaves a pleasant pickle taste in your mouth. Red Dog Saloon have locations all over London, so if Shoreditch isn’t close for you pop past one of their five other locations. As well as great comfort food, they also host fun events like all you can eat wings, so keep an eye on their website and socials! Previous articleEver tried pasta from a giant cheese wheel? Lindes Lane Celebrates Their 1st Birthday!